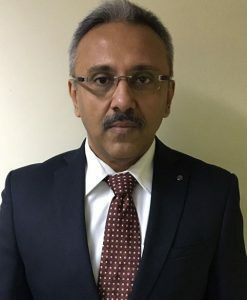 Dr.Apurva Vyas is Highly experienced with around 17 years of experience of more than 16000 minimal access GI surgeries across diverse facets such as Bariatric And metabolic surgeries, Splenectomy, Nephrectomy, Adrenalectomy, Hemicolectomies, Achalasia cardia, Choledochoduodenostomy, Cholecystectomy, Appendicectomy, Myomectomies and so on..
Have performed more than 1200+ obesity surgeries in last 10 yrs on patients weighing from 90 kgs to 300 kgs. 1st Robotic Bariatric in Gujarat. 1st Robotic Gastric Bypass with Cholecystectomy in Gujarat. 1st Robotic Duodenectomy in India. 1st Umbilical Hernia Surgery in Gujarat. 1st Robotic Median Arcuate Ligament (MAL syndrome) Surgery in Aisa. 1st Robotic Whipple in Gujarat. Only Robotic Bariatric & GI Surgeon of Gujarat. As of now highest number of single port surgeries done with great patient compliance and success. Advance single port laparoscopic surgeries performed with highest patient compliance.